Welcome to the Home of the Cincinnati Flying Pig Regional Tournament. This District 11 annual event is a week-long celebration of bridge, friends, sportsmanship, summer, great restaurants, hospitality and the attractions of the Tri-State Area. Come enjoy all the PIG OUT has to offer! 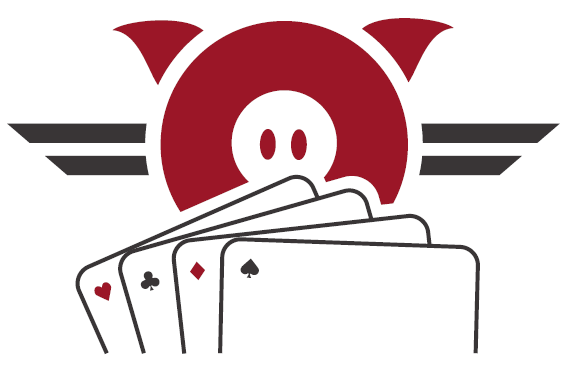 We invite all bridge players to join our Regional for a week of unparalleled fun. We hope to have more top 500 players in attendance than last year. Whether you are a first time tournament player or a seasoned veteran, we have something to offer you! There are only 2 regionals this week in the entire ACBL! Join us! Don't miss out on the fun. Check out the ACBL BEst Practices Teacher Workshop June 3 & 4, 2019. Unit 124 and District 11 are teaming up to offer prospective teachers the opportunity to be certified and help engage everyon who wants to learn this great game of ours. 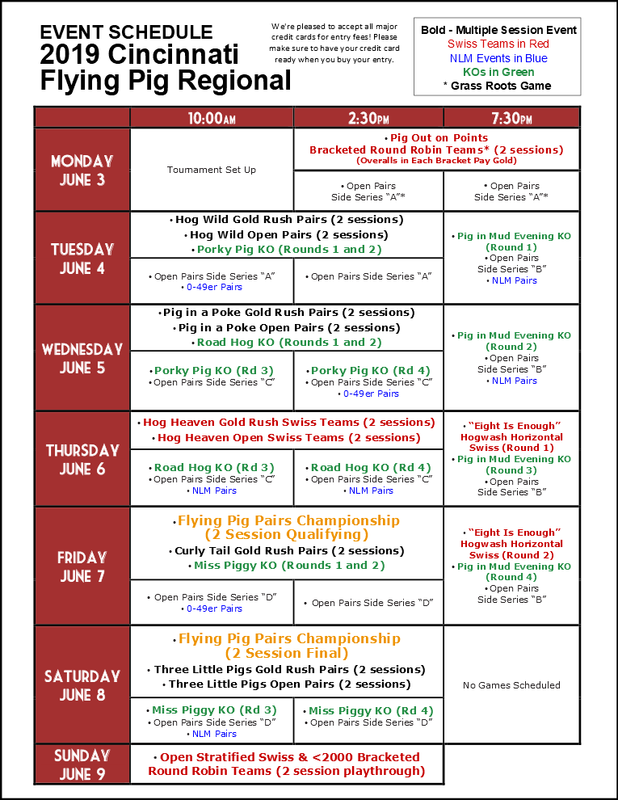 Welcome to the Flying Pig Regional! Come help us make Cincinnati the Midwest's best bridge tournament -- we promise great deals on lodging, a fantastic playing area, and some of the best fine dining in Greater Cincinnati within minutes of the playing site. Newly crowned Life Masters are permanently engraved on our Pigasus trophy, and it's been entirely re-built this year to accommodate the next decade. Come check it out! Our 10 and 2:30 main event schedule is perfect for enjoying a leisurely dinner, and our Wine and Cheese reception every evening at the conclusion of the afternoon session is a great time to unwind and go over those hand records. This year we've added an additional Swiss Team event, so you can now get that team together for Wednesday, Friday, or Sunday (we've also got an afternoon-evening Swiss on Saturday for those coming in just for the weekend). Of course, we have a full evening schedule of games, too! We offer Fast Results for your personal tournament record, daily lectures, our famous T-Shirt Prize Desk, and so much more. See you there! Partnerships – Need a partner? 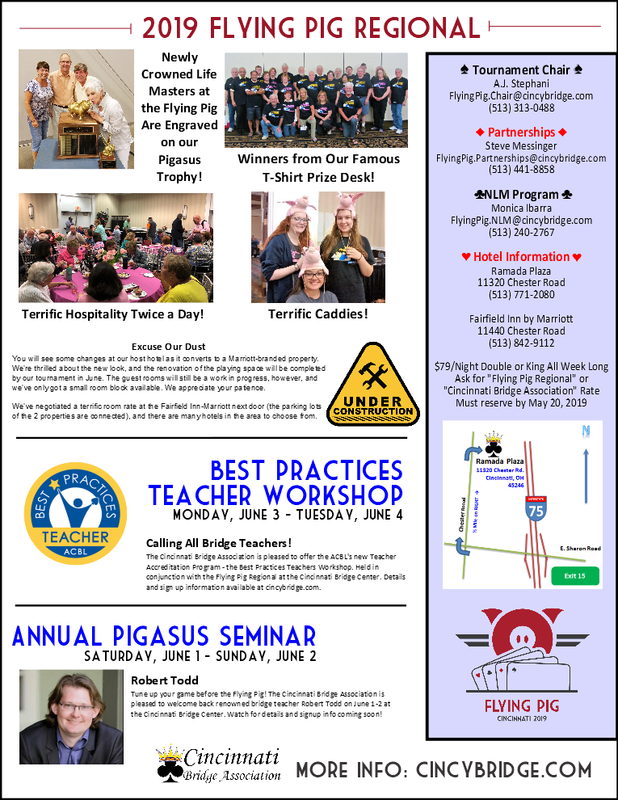 Call Steve Messenger (513) 441 - 8858 or FlyingPig.Partnerships@cincybridge.com . 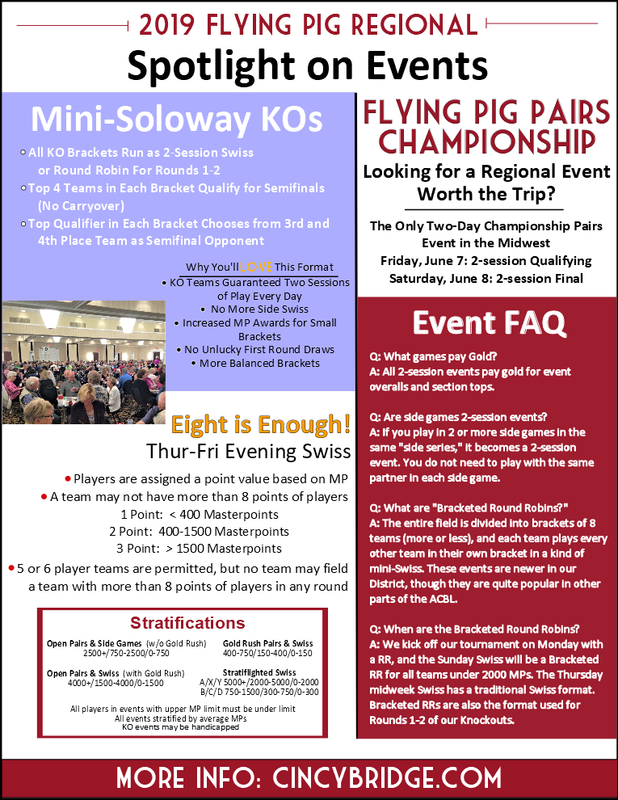 We will match you with the best available peer player so you both enjoy playing at the Flying Pig. From the North, Take I-75 South to Exit 15. Go West/Right onto E. Sharon Road. Turn Right at the Second Stop light onto Chester Road. The Hotel is opposite the The Convention Center about 1/2 mile ahead on your RIGHT. 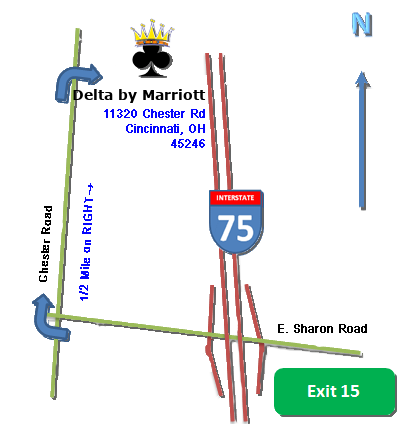 From the South, Take I-75 North to Exit 15. Go West/Left onto East onto E. Sharon Road. Turn Right at the Third Stop light onto Chester Road. The Hotel is opposite the The Convention Center about 1/2 mile ahead on your RIGHT. From the Northwest, take 1-74 to 1-275 East. Take I-75 South. Follow South directions. From the Northeast, take I-71 to I-275 West, Take I-275 South. Follow South Directions. CVG (35 Min) and Dayton Airports (45 Min) are nearby.